For the ultimate tools of the trade when running wear these New Balance 1080 V9 London Marathon Ladies Running Shoes. These trainers from New Balance are the ninth generation of the Fresh Foam 1080. 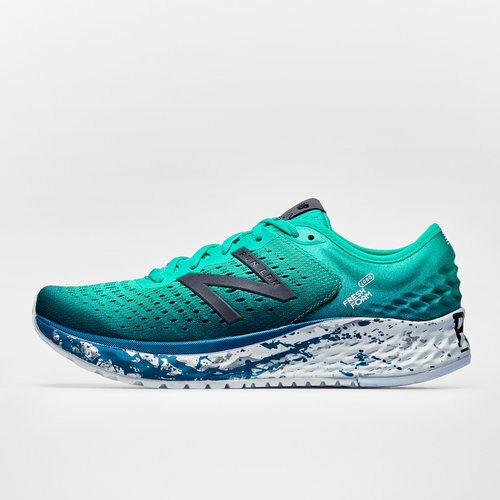 New Balance has used data-driven input to deliver premium underfoot cushioning and support. The 1080 V9 London Marathon edition improves upon its predecessor with newly reconfigured flex grooves on the rubber outsole. The breathable mesh upper with the molded foam collar and no-sew bootie offers an adjustable, snug fit. The midsole technology provides advanced cushioning from the first to the last minute.